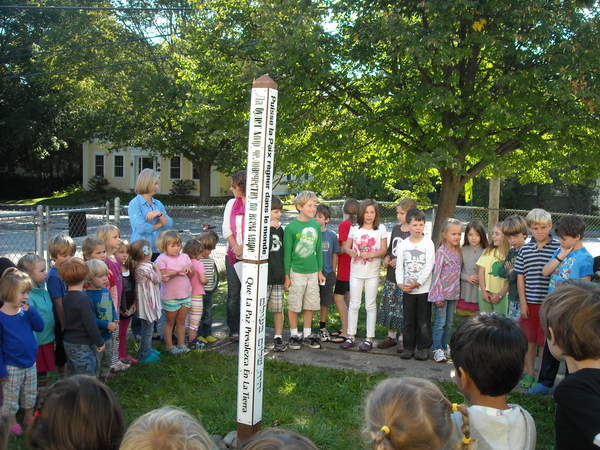 Photo by: Linda Hall-Stone Students gather around the Peace Pole at the Children's House Montessori School to celebrate the International Day of Peace. What do you do in your home or school to teach or promote peace education? I'll share some of what we do on Monday. Have a great weekend!